Well Madge is 17 days in during National Blog Posting Month and so far so good, although this one got in just under the wire. Regular readers know that MadgesHatbox is named in honor of my grandmother Madge Beals Meredith who was a milliner. Little did I know, when I made that decision, an adventure was in store. A chance remark led me to try to find a hat shop Madge opened in Scooba, Mississippi in 1917. You can read about my journey here, in a seven part series. Along the way I met many amazing people from Kansas to Mississippi but the most amazing of them all is Miss Thelma, the heart and soul of Scooba. On September 9, 2013, Scooba celebrated Thelma McConnell Day. 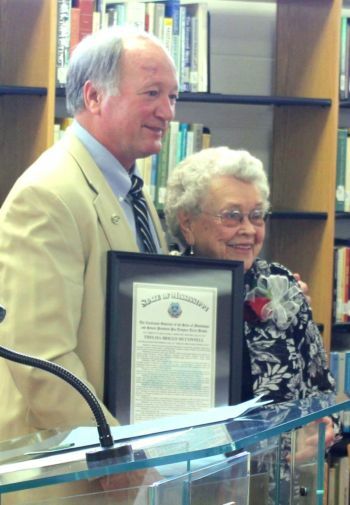 The highlight of the many honors and accolades that day was the naming the archives at the Tubb-May Library at East Mississippi Community College in her honor. The archives are now officially the Thelma Briggs McConnell Archives. As the historian of Scooba and a writer of many books on the region no other honor could have been as special as this one. EMCC President Dr. Rick Young presents Thelma Briggs McConnell with a framed proclamation announcing Thelma Briggs McConnell Day. 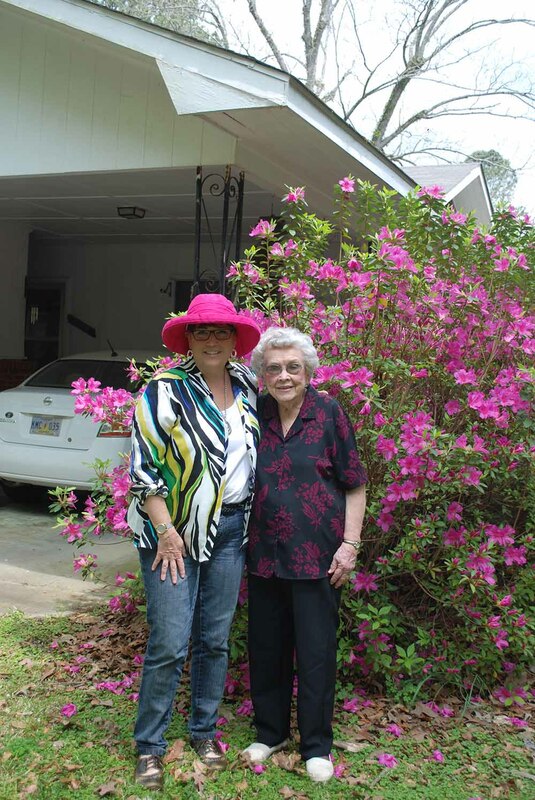 At age 96, Miss T is still a newspaper columnist for the Kemper County Messenger and when last we met she had begun work on a cookbook containing all of her famous recipes. Life has a very funny way of working and I feel so blessed that the spirit of my Madge led me to meet and become friends with this remarkable woman. 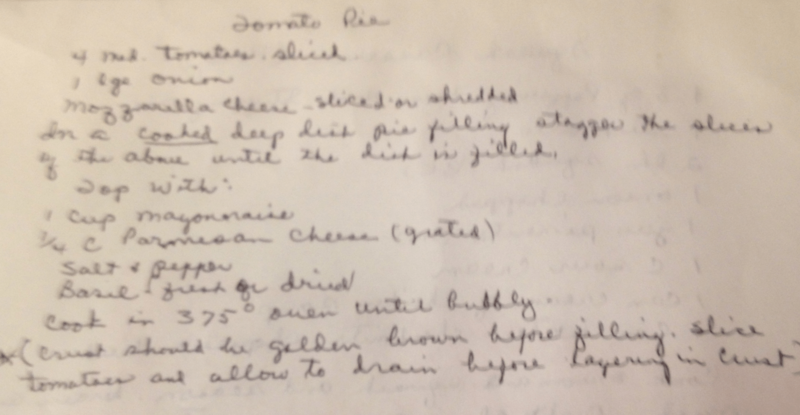 And as a bonus, she let me have a couple of her favorite recipes and said I could share them with you. In a cooked deep-dish piecrust stagger the slices of tomato, onion and cheese until it is filled. Top with mayo, Parmesan, and salt, pepper and basil to taste. Cook in oven until bubbly. Combine milk and vanilla in a large bowl, add coconut mixture and cracker crumbs and mix well. Beat egg whites in a small bowl with electric mixer on high until stiff peaks form. Fold into mixture until well blended. Drop tablespoons full of mixture, two inches apart, on a lightly greased baking sheet. Bake 12 – 14 minutes or until edges of cookies are lightly browned. Remove to a wire rack and cool completely. Melt chocolate per instructions on package and lightly drizzle over cookies. Place in wax paper lined pan and refrigerate until chocolate sets. Sift flour into a large bowl. With your hand make a small bowl in the center of the sifted flour. Add Crisco and mix until crumbly. Add buttermilk a little at a time and mix well. Pull flour from sides of bowl and continue to mix. Knead the dough until it is easily handled. Clean hands and flour them well. Pinch of a piece of dough about the size of a golf ball. Roll in hands until smooth. Mash flat with your hand and place in greased iron skillet. Continue until skillet is full. Bake until golden brown and season with love. Thelma’s my kind of gal! Great post and I love the recipes. Madge! What a great look at the old cookbook! I too am fond (also my hubby of 43 years) of buttermilk biscuits. 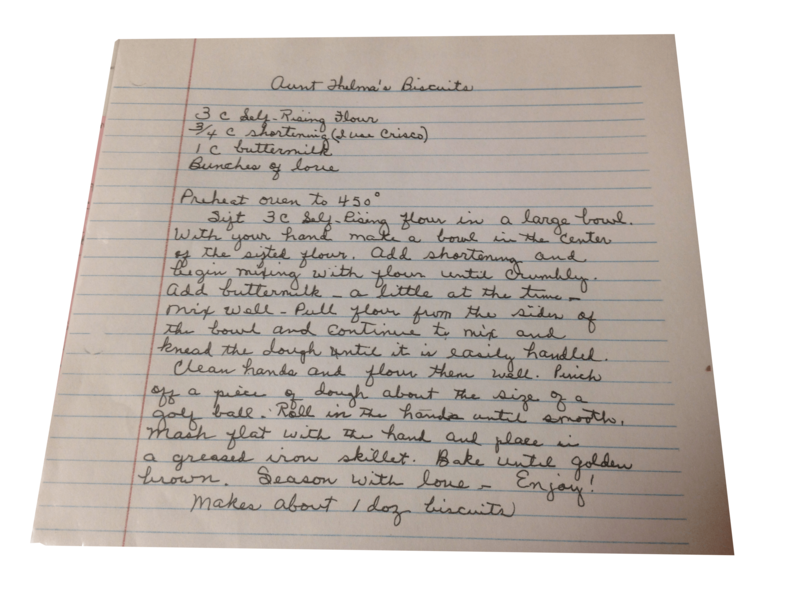 Being from the north, I don’t use self-rising, but I add soda and baking powder (and lots of love) I recently taught my DDIL how to make scratch biscuits…she was truly amazed what that little bit of flour and milk could create..
How wonderful! I really enjoyed this. Thanks so much for sharing. I LOVE that her biscuits take bunches of love… Thanks, Madge! 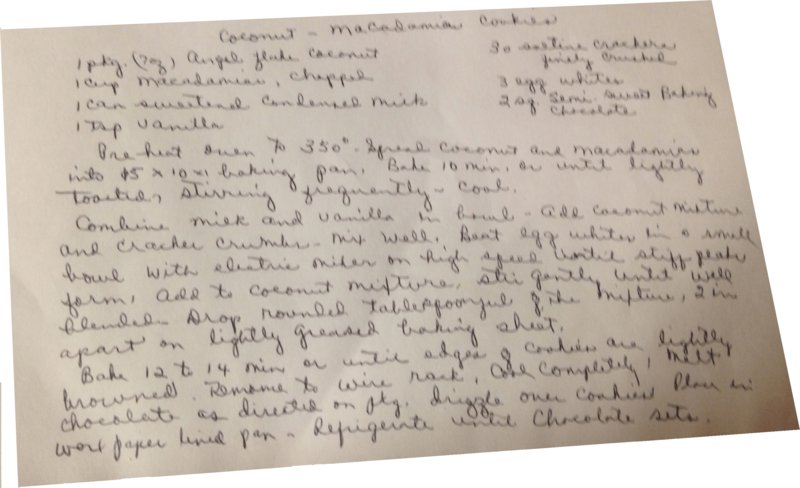 These are awesome recipes but most special is Miss Thelma. How about that tomato pie? ?